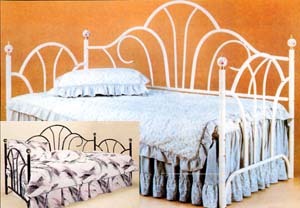 Combo Peacock Day Bed Set Daybed with Linkspring included. Floral Porcelain Design Balls. Available in Black, or White. Easy to Assemble. Mattress not included.